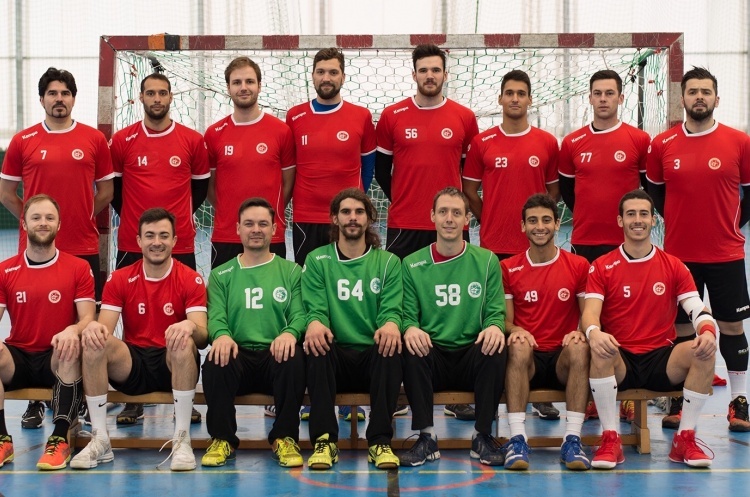 London GD resumed their winning ways with a thirteen goal margin of victory over Nottingham in the Men’s Premier Handball League this weekend. The victory extends their lead at the top of the table after closest rivals Olympia were held by NEM Hawks at Salford as their match finished 31-31. Cambridge added to Liverpool’s losing streak by returning from Merseyside 23-33 winners, and Warrington Wolves beat West London Eagles 24-32 away despite only leading by four goals at half time. Nottingham hosted London GD knowing the Londoners have only lost one match this season, against Olympia. The Midlanders started the game in fourth place in the table but went into the half time break already eight goals behind, with their top scorer and Player of the Match Francisco Pereira scoring five goals in the first half. Pereira again led the scoring for Nottingham in the second half but it wasn’t enough as GD spread the attack amongst their team. Martin Vanegue top scored for GD with six goals, and Jordi Ferrer Torras, William Moore and Player of the Match Geoffroy Deneuville all added five each. This result sees Nottingham drop two places in the table, but only a point off Cambridge who are fourth. Olympia’s visit to Salford to play NEM Hawks was a tight affair with Hawks leading by two points at half time. Hawks’ Player of the Match Harry Morley top scored with 14 goals, and when Ryan Goodwin scored his fifth goal of the game late in the second half it looked like Hawks were going to hang on and upset the form guide with victory over second-placed Olympia. But Olympia’s two late goals from Carlos Antonio Navarro saw them draw level and both teams take two points away from the game. This result sees Olympia remain in second place in the table, pursued by Wolves in third only two points behind, but the Londoners having one match in hand. Wolves made it a hat trick of wins this calendar year by taking the full three points from their trip to West London Eagles. Wolves’ Player of the Match Ryan Thomas scored four first half goals to take his team into a four goal lead at half time, and in the second half the Northerners got into their stride as they ran out 24-32 winners. Player of the Match for Eagles was top scorer and left back Lucas Carstens, who netted 11 times for the Londoners. This result leave Eagles second from bottom, unable to add to their one win so far this season. Liverpool are still without an elusive first win this season but they continue to battle hard, going down by ten goals at home to Cambridge. At half time it was 11-18 to the East Anglians, who pulled away again in the second half to win 23-33 led by top scorer Florian Stroehl with ten goals. Filipe Santos and his namesake Francisco were the joint top scorers for Liverpool, grabbing seven goals each. Liverpool face a tough fixture up next, against leaders London GD, which will make it a hard task to find that first victory of the season. The table has been reshuffled mid pack, but Olympia may rue their missed chance to close the gap on leaders London GD.